Here i am going to discuss about the 7 Effective Social Media Tactics to Boost Your Online Sales. There’s no denying that e-commerce is on the rise and continuously growing right now. And in this day and age, there’s no signs the industry is backing down. Since a huge percentage of the earth’s population is using the internet, it is only ideal to maximize the tool and use it to generate online sales and increase your online presence. We could all agree that a large chunk of our demographic relies on internet to search for products, product reviews, recommendations and the likes. Given the huge significance and role social media portrays in the e-commerce industry, utilizing social media to boost your brand and sales is a surefire game-changer in your online marketing strategy. That is, if you do it right. Get in the know and take a look at the best ways you to effectively boost your online presence through developing social media marketing techniques. What you post or share on your social media platforms are seen by your followers and customers, might as well make the most of every post and make it share-worthy. Why should it be share-worthy, you ask? It’s to drive conversion. Of course, when someone shares your content, it is seen by their followers and you get to reach more people than usual. It then increases your traffic and eventually your sales. Do ensure that your content marketing plan and social media strategy goes well together to produce click-worthy content and increase in sales. In addition, do plan your goals and content for your Facebook, Twitter, Instagram and other social media platforms to better utilize each platforms. Which platform do you think works well for customer service? Should you need to have a different social media account for that? Perhaps a hashtag of some sort (e.g. #AskABC)? Doesn’t your eyes strain when reading too much texts? We bet you skip it halfway through. That’s because social media users aren’t fond of text-heavy content, they need visuals. Image-based content are more engaging than text-heavy content. If you’d notice, many brands maximize the use of images when it comes to optimizing social media content. Also, it’s because image-based posts/content are more shareable that text-based posts alone. You’re a consumer yourself, surely you agree with this. Don’t you? Email is the very core of one’s online personality. One needs it to signing up and for verification. Why not build a strong bond with customers through email marketing? How can you score your customer’s email addresses? When someone purchases in-store or through online transactions, ask them to write down their email address or have them subscribe so you can add them on your mailing list and update them with the latest discounts, promos and sales your brand has. This tactic can generate traffic back to your site which a win-win for you and your customer (for getting up to date news from you). Maintaining your online presence doesn’t mean bombarding your followers with content every hour and sharing viral videos every five minutes. It doesn’t work like that. You can optimize your daily content by maximizing high-conversion keywords or tags to make your brand visible in a larger demographic through search engines. By using this technique, you’ll be able to reach more than the number of your direct followers. Perform a quick keyword research to determine which tags consumers usually use when looking for related services and/or products as yours. Then, input it strategically within your content; as if you’re sharing and not “selling”. 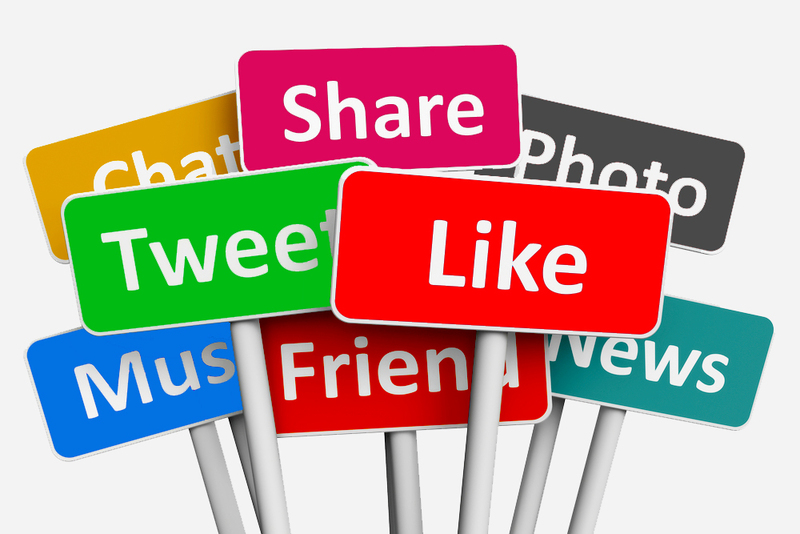 Social media is a tool to connect and interact with people, followers, prospects and consumers. Engage, reach out and frequently interact with your followers to build a better relationship with them. You can do this through constructing contests, campaigns, joining groups and even by simply thanking them by sharing your posts or liking their comment. You can also opt to connect with an influencer with a huge following to help you promote your brand, increase traffic and gain trust from consumers. This is a simple and fun way to show your appreciation to your followers. Blogging is one of the most effective, best and easy ways to drive organic traffic to your site. A single blog post can get shared multiple times through multiple social media platforms which leads to better engagement and strong online presence. Tackle your expertise on your products and services and curate content of sorts such as tips and tricks, lists, facts, trivias, do’s and don’ts and the works. This will surely tickle your reader’s curiosity and click on your post. With this, do experiment and think of a killer blog title. It should be a hook to get your customer’s attention. Of course, driving continuous growth in sales and online traffic isn’t an overnight process and you shouldn’t definitely MIA for a long time. Consistency is vital to maintaining your brand’s presence and engagement with your consumers. They can simply unfollow and unsubscribe from you if you fail to deliver effective marketing technique. Create a content plan and a game-changing marketing tactic to keep your brand afloat. If you have a budget, jump in on paid advertising to take your social media marketing and increase your conversions up a notch. Engagement is what essentially will keep your business build up. Have you got any more tips to add in this list? Don’t forget to leave a comment below and share it with us! When she couldn’t be found eating pizza or indulging on sweets, Chie writes for Zapals — a global shopping site that delivers one of the largest innovative online department stores to people in the world. Yes. Planning is the first thing to follow for doing anything. Anyway, thanks for coming and dropping your comment here. Keep Coming. It is really very important to share unique and useful content. So that the reader could relate to the content, this can increase the traffic and will result in the sale. The blog is really beneficial. Thanks for sharing. good day Nirmal Anandh! often visit your blog and learn some great blogging tips and knowledge from your site. Am a year old blogger but since from 1 month am concentrate on social media network, its really amazing and getting some decent direct sales to my business without spending a coin from my pocket to advertisers and followers are increasing of my same niche your points are really worth beginners like me in SMN and will follow. Thanks for sharing mate! Glad you like this post and the points given here are very useful to you. Years doesn't matter for a passionate blogger and without spending a coin you are earning something from your blog is really amazing. Hats off to you and Keep it up bro. Always learning is the process of every passionate blogger, we can't say a blogger as pro-blogger just by getting more traffic to his blog. It depends on the content he delivering to his readers and how they satisfied. Anyway thanks for dropping your comment. Keep Coming bro. I came across your article its very informative & I liked this blog as all the points you mentioned here are worthy & Knowledgeable. Thanks for such nice post.